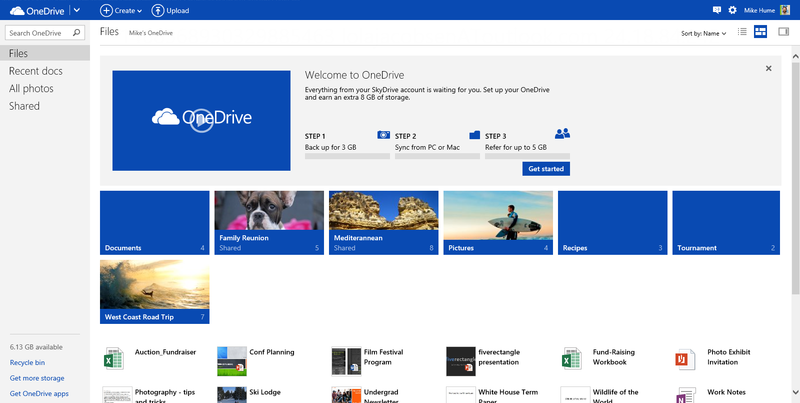 Microsoft today officially relaunched SkyDrive as OneDrive, giving its existing users access to their files on the new service by simply logging in at onedrive.com. At the same time, Microsoft is using its legal requirement to change the name as an opportunity to push its marketing message as well as add some new features. 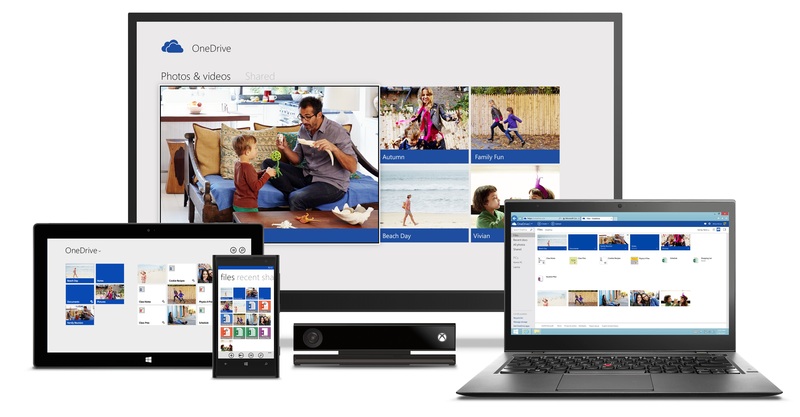 The transition from SkyDrive to OneDrive will be a seamless one. We asked Logan, and he confirmed that all mobile users who currently have the SkyDrive app will not need to uninstall it first and then install the OneDrive app. If their platform supports automatic update, the app will silently update (like Android and iOS 7). If not, users will see that an update is available and the old app will be replaced. So, what’s new? In short: the ability to share and view videos just as easily as photos (thanks to MPEG real-time transcoding), automatic camera roll backup for Android, and real time co-authoring with Office Web apps. Microsoft has also added new ways for OneDrive users to earn more storage, on top of the 7GB everyone gets for free. You can earn 3GB more just for using the camera backup feature. You can also receive up to 5GB more for referring friends (500MB for each friend who accepts an invitation). So that’s up to 15GB for free, and there’s also a new monthly billing option for the 50GB, 100GB, and 200GB plans (previously you had to pay for a whole year). Available across every major device and platform: It’s built into the latest versions of Windows, Windows Phone, Office, and Xbox. You can also make it the default storage option, so you never have to worry about where your files are being saved. Android, iOS, and OS X also have respective OneDrive apps. The best way to store, view and share photos and videos: No need to manually upload photos or videos. 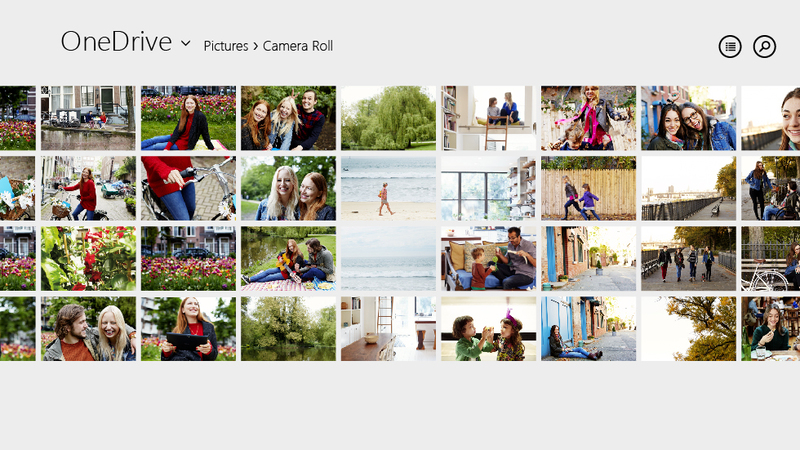 Start screen integration with Windows 8.1 and even Xbox slide shows means give you more ways to share your content with family and friends, and OneDrive also features one-click sharing to Facebook and email. Last but not least, you can record and share gameplay from your Xbox. Perfect for sharing documents: OneDrive is built into Office as the default save location, so you can see the recent documents you were working on and pick up right where you left off even if you switch devices. Real-time co-authoring using the free online version of Office in OneDrive lets multiple people work on Word, Excel, and PowerPoint documents simultaneously, always having access to the latest version and being able to see edits as they happen. Built for businesses too: OneDrive for Business lets companies give their employees the ability to store, sync, and share files across multiple devices with ease, manageability and security. The last point is worth expanding on: Logan told us SkyDrive Pro wasn’t renamed as “OneDrive Pro” because there was some confusion around whether the product was just a more feature-filled version of Microsoft’s cloud storage platform. It’s not. OneDrive for business is… well, only for businesses. Logan told us it’s not getting any new features today, but the company will share more at its SharePoint Conference in March. Last but not least, Microsoft is celebrating today’s news by giving away 100GB of free storage for one year to 100,000 people. If you’re interested, you’ll need to follow OneDrive on Twitter as the company will only be sharing details there.